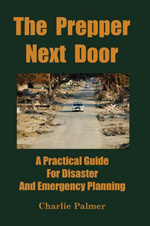 I suspect the vast majority of serious preppers are big into Do It Yourself (DIY). Preppers want to be self reliant. Being able to maintain your own household systems is part of not being dependent upon others. It can save a ton of money. Not everybody can repair their own systems. It’s not permitted by law. Here’s an example. In England residents aren’t permitted to do their own electrical wiring. In America we’re allowed to do our own residential electrical wiring (there could be exceptions). If we own rental property where others live, we’re not allowed to work on those electrical systems unless we’re electricians. The lawmakers will say this is to protect people from shoddy repairs and to enhance safety. Maybe. Trade groups push for these laws to drive up their profits. They don’t want people to be self sufficient. They want to feel loved and needed. And get us to cut them a big check. Make no mistake, building code is partly based on safety and it’s partly based on special interest politics. In Minnesota we had a kerfuffle about AAVs for plumbing vents. Air Admittance Valves (AAV) are one-way check valves which allow air to enter a drain pipe. This keeps a vacuum from impeding the drain flow. The check valve prevents sewer gasses from backing up into the home. The traditional way of venting is to run vent pipes through the roof. This lets gasses from the sewer vent above the home and it allows air to flow into the drain pipe to remove waste. No check valve is needed, just open pipe. Every home should have one vent which terminates above the roof. What if you add a sink and drain somewhere and it needs venting? AAVs allow you to vent the fixture without running pipes through the roof or connecting into the existing vent system. In Minnesota we have our own plumbing code. Many plumbing codes exist. There is a uniform plumbing code, an international plumbing code, and others. A maker of AAVs lobbied to allow these devices in Minnesota. The building code was changed. Not so fast. The pipefitters objected to the change. AAVs were disallowed. With AAVs there is less pipe to fit. My point isn’t to argue the pros and cons of AAVs. Just to show industry politics plays a role in determining building code. The government deciders don’t always only care about your best interests. They care about pleasing the folks who butter their bread. I could picture a future where no homeowner was ever allowed to do anything in their home. You’d need to call in the professionals. What DIY things should a person learn? Look around your home and life. What systems do you rely on? The more you understand those systems and the more capable you are to fix and maintain them, the more self-sufficient you are.